English Gardens in Tuscany–one of the Eastside’s most sought-after neighborhoods served by blue ribbon schools. Beautiful 2-sty. 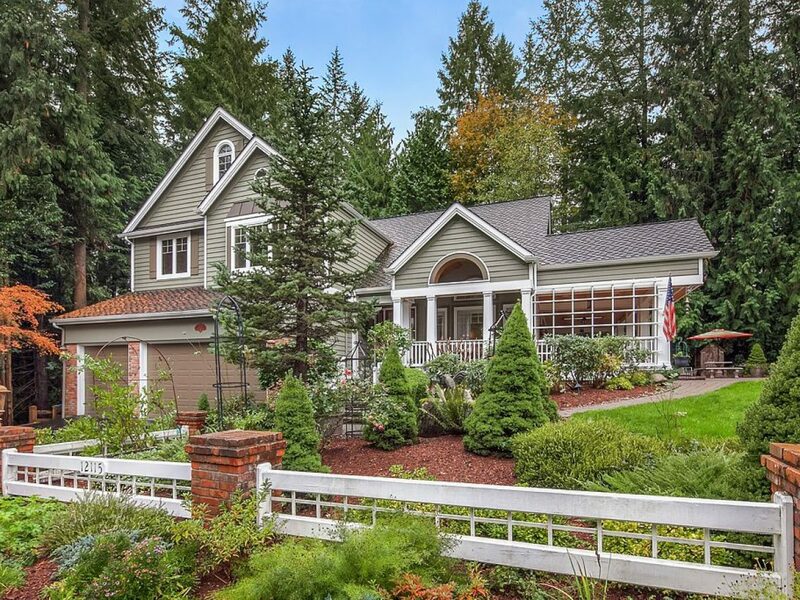 w/storybook covered porch reminiscent of an east coast traditional. Nature trails & greenbelt on BOTH sides invite nature & privacy. Custom floorplan: huge island kitchen/family rm/eating nook AND game room adorned w/several skylights. Thermador 6 burner + grill range, Dacor ovens, Sub Zero fridge, FULLY updated master + main bath, AC, 2012 Pres. roof, 3 storage rms! English garden with water feature, fruit trees, blue berry bushes and paths throughout the garden. Pathway Leads to shaded garden area. Large covered porch overlooking the English garden. Uncovered deck extends the back of the house with views of the forest. Very private home surrounded by forest, horse and walking trails. Large open floor plan including entertaining kitchen with double oven, additional Dacor oven with warming drawer, Thermador six burner stove top with indoor grill, two sinks with garage disposals ,two dish washers and sub zero refrigerator. Open floor plan includes den, eating area and game room looking out over the forest. Bedroom, bathroom, laundry room, mud room, formal living room and formal dining room complete the first floor. Second floor includes master bedroom with private bathroom, two additional bedrooms and full bathroom, library with access to 200sf unfinished attic for storage. 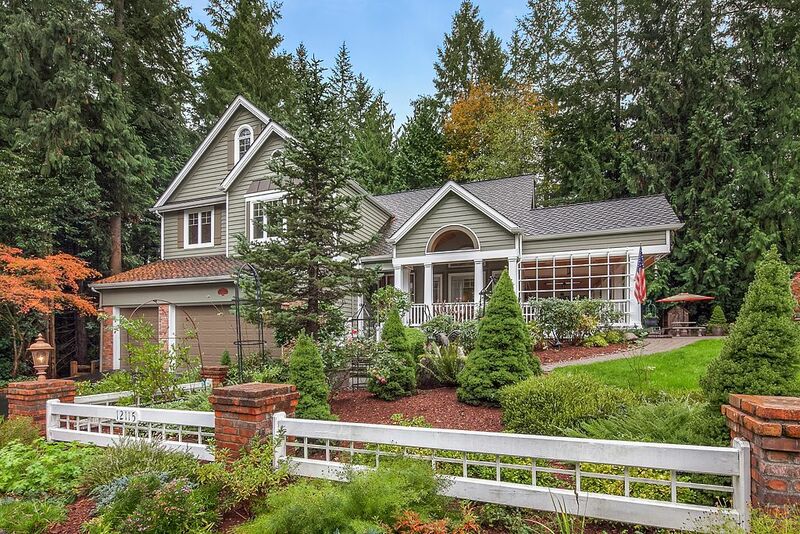 Sought after Lake Washington School District. Tuscany is a beautiful housing tract with a private park for the children and adults to enjoy.